Collective Blog: How old are you? In Pakistan people tend not to worry about the accuracy of their age and it is not a norm to celebrate birthdays. The civil registration system is also patchy. A citizen’s registration system was initially established in the early 1940s, where there were wartime shortages in urban areas, to facilitate the distribution of food rations. The resulting Ration Card recorded the number of family members in a household. It was only in the early 1970s that the National Identity Card (NIC) was introduced, which included a line to record an individual’s tareekh-e-paidaish (date of birth). But the original NIC did not insist on a complete date – often, the year of birth sufficed. This changed with the arrival of digital technology which renders an entry incomplete unless the full date is recorded. The National Database and Registration Authority (NADRA) which started functioning in March 2000 is supposed to register all Pakistani citizens and to issue Computerized National Identity Cards (CNIC). NADRA’s data has helped, particularly because its coverage has expanded and a high proportion of adults now do have identity cards. A researcher need not be constrained by a respondent’s memory – she can ask to see the CNIC and record age or date of birth as given there. 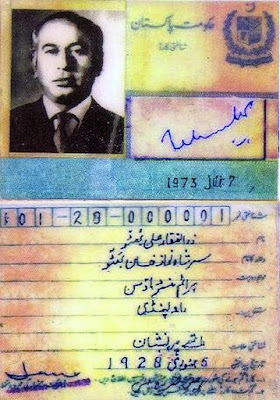 But this does not mean that the date of birth recorded in the CNIC is itself accurate. Moreover, the CNIC is applicable only for those aged 18 and above. Although NADRA offers a facility for parents to register their children and to get authorized birth registration certificate in day-month-year format registration usually takes place many years after birth when the memory of the actual date of birth has receded. NADRA documents simply record the date of birth that is provided to the authority at the time of registration. During our preliminary research for the LANSA study on women’s work and nutrition, we were interested in probing how well parents recalled the ages and actual dates of births of infants who were born within the last six months or so. We found that accuracy of recall declined rapidly around three months after birth. Parents were often unsure about the birth date and reported ranges of as long as a month. While we did not find any cases of birth registration at these young ages with NADRA, respondents did work with us to get to the actual date of birth using other markers. Shanti (mother): “In our community it is a custom to name a child 12 days after birth. A priest named this infant using his birthday as a reference point. The date recorded on the polio vaccination card is different”. Saima (mother): “My child was born in a private hospital and his date of birth was written down in the medical record which I brought back with me”. Javed (father): “I have six children. The youngest was born two or three months ago. It was certainly after Eid. I don’t remember her name”. For anthropometric measurement – which is a mainstay of empirical work in nutrition – this matters. Growth charts against which a child’s progress is gauged are highly sensitive to age at that early stage of development. A normal four-month old infant might be classified as being somewhat stunted if her age is recorded as being five months, and vice versa. Despite the presence of services such as vaccination, health facilities, and a sophisticated citizen’s registration system, there is still a long way to go before a key element of a citizen’s identity – her date of birth – will be accurately recorded. Under-nutrition is thought to persist partly because social policy systems do not have comprehensive and universal outreach. The same institutional weakness hampers the accurate measurement of under-nutrition.